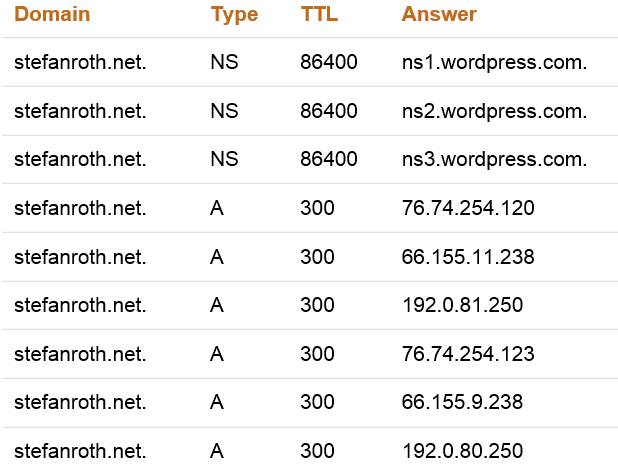 In today’s world of IT everything is still heavily depending on DNS. It can be the most sophisticated application / technology if DNS does not work all other parts also won’t work. 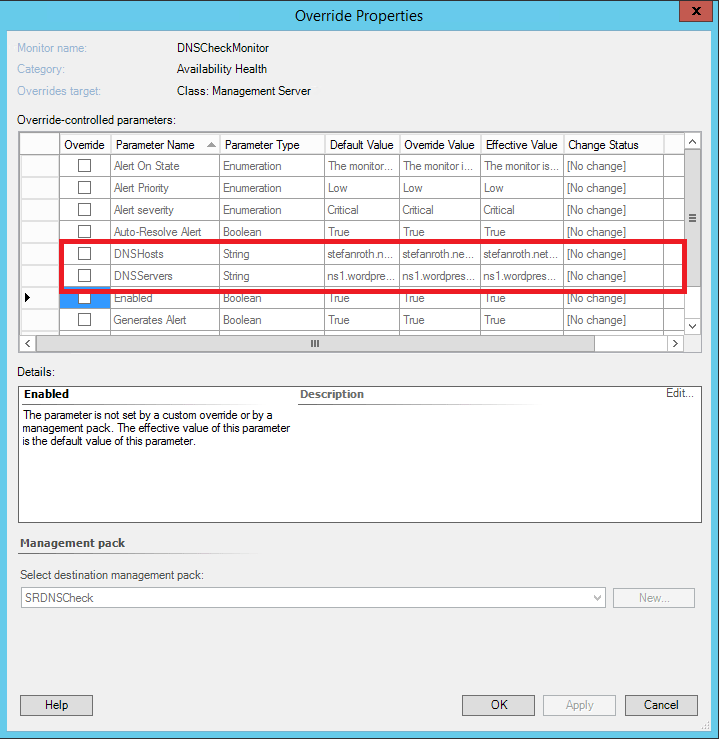 SCOM offers a good DNS MP which monitors essential parts of your DNS infrastructure. Something that is missing and I think makes sense is to check the DNS records and it’s corresponding IP on a selection of DNS servers. So let’s say you have 1,2 or more (external) DNS servers which contain all the same DNS A-Records and IP’s. Your goal is to check if these records exist and also have the expected IP address on each of these selected DNS servers. If any of these parameters don’t match, something is wrong and you would like to receive an alert. I created a PowerShell monitor to execute a script which will call nslookup to make the DNS resolution. Why nslookup ? Well, since every server has nslookup and PowerShell on board therefore it is a good couple to use it. For a better understanding of the situation I’ll show you an example. You can download the VSAE solution from TechNet Gallery. Is it possible to modify this MP to check each managed computer in SCOM instead of each entry in DNSHosts? I would like to target the Windows Computer Class and have each computer check itself against my DNS servers. Thanks!